Bright Freshly Painted & Updated Unit. Open floor plan, living room, dining room, kitchen and lanai overlook 2 sparkling lakes surrounded with landscaped open spaces. Windows on all sides. Large 2 bedroom, 2 bath, abundant closets through out. New kitchen appliances, full sized washer/dryer. 2 covered parking spaces & large storage shed. 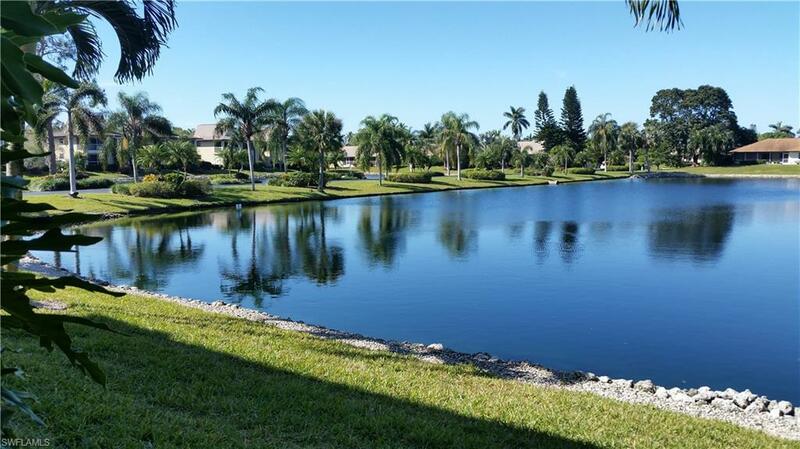 Beautiful community 1.5 miles from downtown Naples features community pool, tennis, pickle ball and shuffle board courts. You'll love living here! LISTING PROVIDED COURTESY OF Daryl C Fiene , Premiere Plus Realty Co.